a list of 57 “words often misspelled”. In 2011, Time magazine listed The Elements of Style as one of the 100 best and most influential books written in English since 1923. 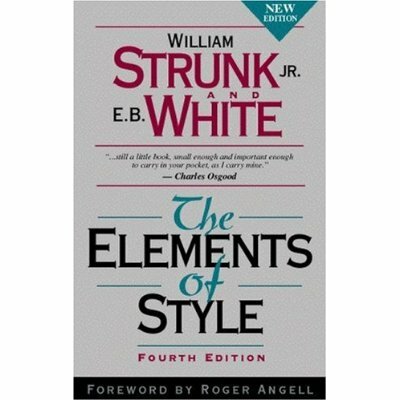 The 1959 edition features White’s expansions of those sections, the “Introduction” essay, and the concluding chapter, “An Approach to Style”, a broader, prescriptive guide to writing in English. 21 reminders for a better style, in Chapter V.
The final reminder, the 21st, “Prefer the standard to the offbeat”, is thematically integral to the subject of The Elements of Style, yet does stand as a discrete essay about writing lucid prose. In Chapter IV: Misused Words and Expressions, the re-titled entry, “They. He or She” further advises avoiding an “unintentional emphasis on the masculine”.